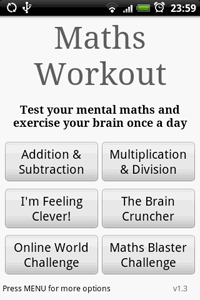 Math/Maths Workout is a daily exercise designed to improve your mental arithmetic. Keep your mind healthy, test your mental math and exercise your brain once a day. Serious fun for all ages!